Old motor controls used an across-the-line starters or some type of Wye or Delta configuration to start and stop electric motors. Across-the-line starters can produce in-rush currents up to 7 times the normal operating motor current and 3 times the starting torque when compared to motor operating torque. 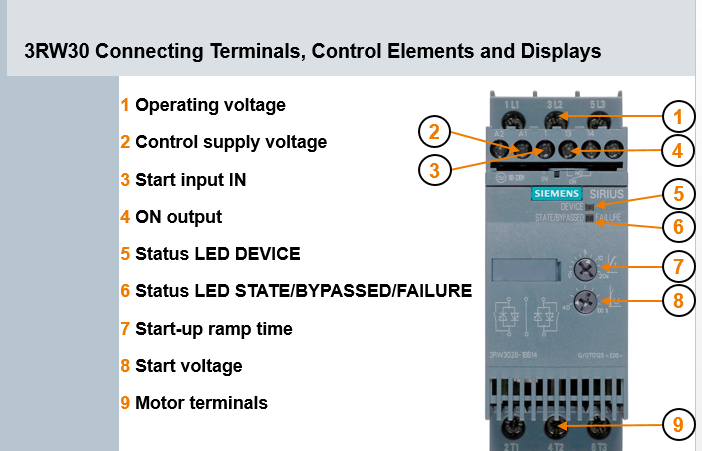 A soft starter electronically controls the voltage applied to the motor via SCR’s during starting and stopping, which in turn controls the speed and current levels. 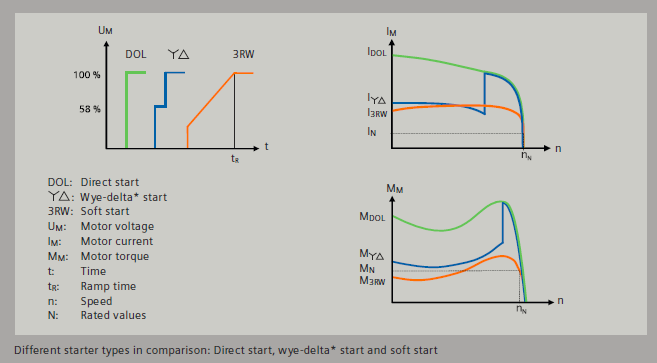 Soft starters avoid undue mechnical stress and line voltage fluctuation by limiting the starting current and torque. Phase angle motor controls reduce the motor voltage, and can be increased from an adjustable starting voltage up to the line voltage within an adjustable ramp time. The motor adjusts to the driven machine’s load behavior because of the smooth, gentle increase in voltage. Because this method requires less stress on the machine, equipment lasts longer and works better. 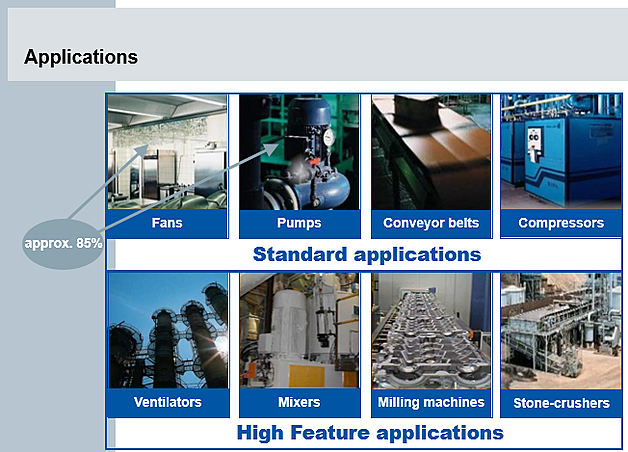 Soft starters cushion the life of a machine and create an efficient production flow. The majority of soft starters are installed in pump and fan applications, although they can be incorporated into many other motor applications that do not require speed control (where a VFD would be the best option). The direction of rotation of an 11 kW motor has to be adjustable in order to realize both conveyance directions. Allows rapid but controlled acceleration to nominal operating speed without torque surges due to the flexability of setting the voltage / speed ramp during start-up. With a rating of 200 kW, these soft starters can be used in the production of sheet parts, to drive the respective hydraulic systems for the presses. For the production of motor blocks, the required bores are drilled in the motor’s aluminum block by means of a milling head. Due to the milling head’s high inertia, shutdown of the 15 kW motor is subject to long stopping times, which cause long downtimes for tool changes and set-up operation. Superior motor and device over-load protection provided by integrated functions within the soft starter. 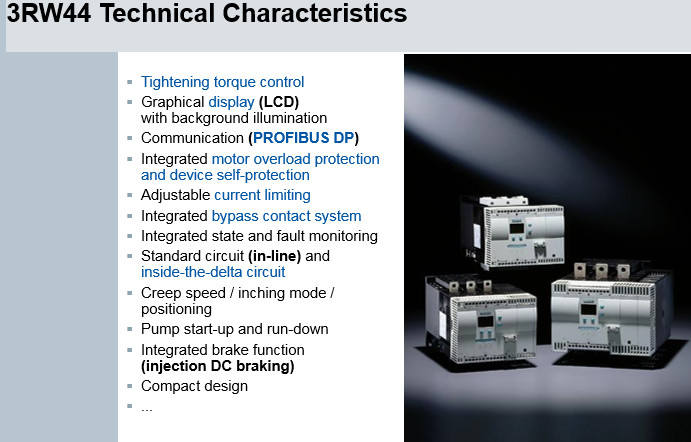 As you can see, soft starters can be adapted to serve a wide variety of applications in motor controls. 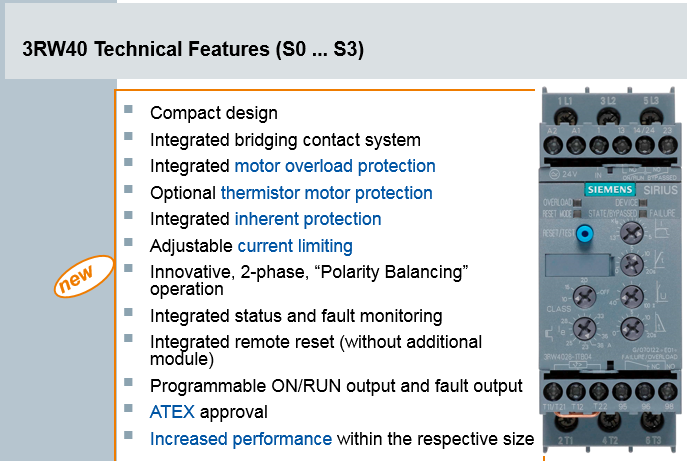 The advantages of using soft starters as part of your suite of motor controls are clear: longer equipment life and smoother production flow, which translates into time and cost savings. You may already be using soft starters for your pumps and fans, but if you're interested in learning more about the unique solutions soft starters can offer, our experienced staff can evaluate your situation and recommend the best motor controls solution. Mark McCracken is the Control Specialist for Advanced Controls & Distribution.